J&J Guide Service offers both archery and rifle hunts for trophy elk, mule deer, antelope and whitetail deer. We also offer turkey, predator and upland bird hunts. With comfortable ranch style accommodations and good food, we cater to the single hunter, groups, husband/wife, father/son or daughter hunts while providing an excellent opportunity for a trophy class animal! Our clients have won several state awards from the Montana Outfitter and Guides Association for animals they have harvested while hunting with J&J Guide Service. We have two camps to hunt from, Ekalaka and Musselshell camps, which allows us to cater to any type hunt our clients are looking for. Our guests have enjoyed a 95% plus success rate on rifle hunts for the different species! All this coupled with our Christian values insures you will receive an honest hunt and enjoyable experience. 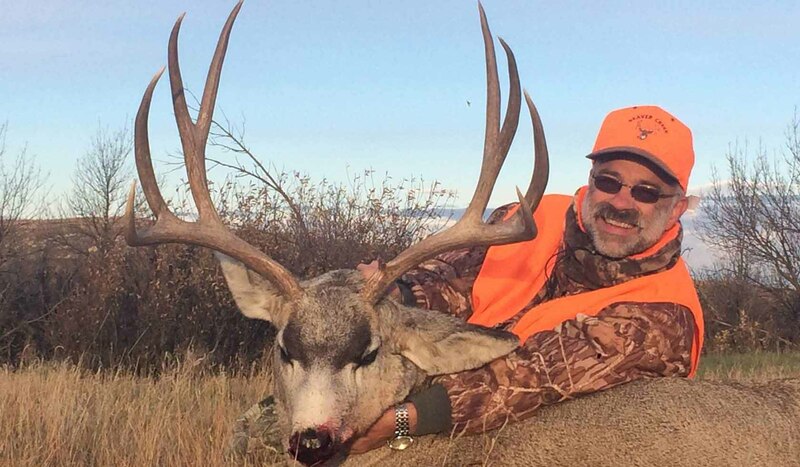 J&J Guide Service, Eastern Montana's Dream Hunt Outfitter. J&J Guide Service is located in southeastern Montana, 1.2 miles south of Ekalaka on highway 323. Business sign at driveway entrance.J&J Guide Service is located in southeastern Montana, 1.2 miles south of Ekalaka on highway 323. Business sign at driveway entrance.